The two types of dialysis are hemodialysis and peritoneal dialysis. Weather former or later option is chosen by the patient, following a good dietary regime definitely helps avoid any further complications and help one live a superior life. 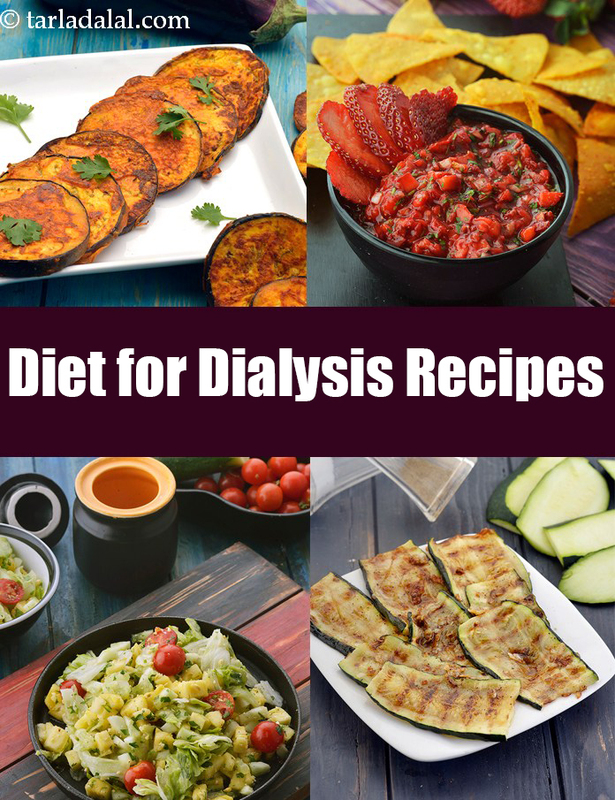 The major nutrients to focused in a dialysis diet are sodium, potassium, phosphorus and fluid intake. The key here is to restrict the intake of all of these 4 nutrients and monitor your fluid intake closely with your doctor or a nephron dietitian. 1. Sodium : It is necessary for maintaining blood pressure and fluid balance in the body. However since kidneys are unable to filter the excess sodium , it leads to high blood pressure, water retention and swelling on face, legs and hands and put a stress on the heart. Salt is one of the highest sources of sodium intake. Discuss with your dietitian on the amount of salt allowed per day. In general, avoid the ready-to-eat foods, pickles, bread, cheese, aerated drinks, papad, butter, biscuits, soy sauce and readymade masalas. Savour your food with herbs and other spices instead. 2. Potassium : The most important function of potassium is to control the functioning of nerves and muscles. The excess potassium build up puts the heart at risk. It can cause irregular heartbeats and heart failure. Hence potassium restriction is necessary. Most fruits and vegetables are a good source of potassium. Avoid mango, banana, potato, avocado, plum, melon, sweet potato, spinach, kale, mushroom, kiwi, broccoli and dairy products. However if you wish to use the vegetables mentioned in the ‘No’ list, one option is to follow the procedure of leaching. It involves removing some amount of potassium by soaking in water. Peel them and soak in water for an hour. Cut them and again soak in water for 4 to 5 hours and drain them. Wash them with water and cook them in excess water and drain that water again. 3. Phosphorus : is a mineral which works closely with calcium to build strong bones and with B vitamins to maintain normal heart rate. Since excess phosphorus is not always removed by dialysis, keeping a track of what you eat becomes very important. Foods rich in phosphorus are dairy foods, chocolate, nuts, soya and whole grains like oats, whole wheat, bajra, jowar etc. along with pulses and dals. Amongst dals masoor dal in limited quantities is suggested. Since most foods are a good source of phosphorus people undergoing dialysis are often supplemented with phosphate binders which prevent its build up in the blood by avoiding the absorption from food. Talk to your doctor about these binders and follow the prescription to the core. Excess phosphorus can lead brittle bones and some heart problems.